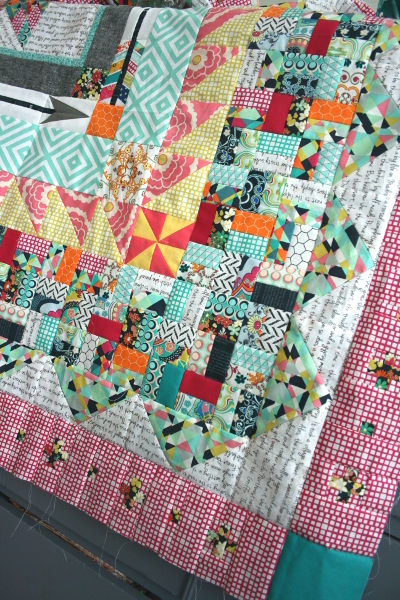 I took a little break this week from my Anchor Quilt project to pull out a WIP. 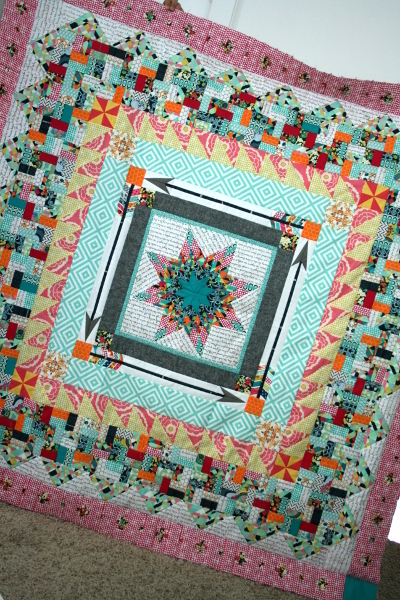 After cutting and piecing a lot of one inch squares, the next border on my Lone Star Medallion quilt is complete. It’s a busy border with the King’s Road print used as the background and a floral print (both from Pat Bravo’s Carnaby Street collection for Art Gallery Fabrics) for the pluses, but I like the way it looks. These little plus signs measure 1.5 inches across, and the tiny squares finish at 1/2 inch. One of the things I really like about this border is the way it reads as an almost solid from a distance, but has interest when you look more closely. I also think it gives the eye somewhere to rest after the extra-busy look of the mosaic and flying geese borders that sit just inside it. It kind of calms things down a bit. Yep. 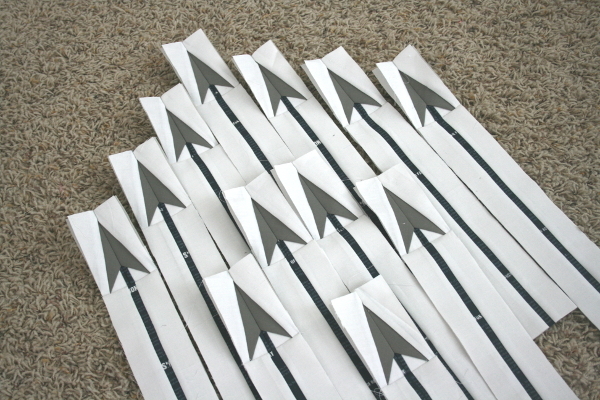 Twelve more paper pieced arrows are on their way to being complete. 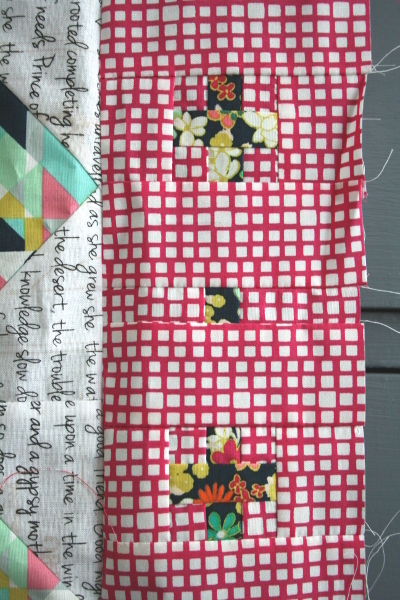 I have two sections done and now get to do the scrappy piecing of the ends. I really love the way these arrows look together. In fact, several of my children have walked in the room and told me I should make an arrow quilt with them grouped like this. It would be pretty, wouldn’t it? And so it’s slowly coming along. What do you think? Beautiful! I love the colors and the arrows are great! I LOVE the arrows! What incredible piecing! They all look perfect. 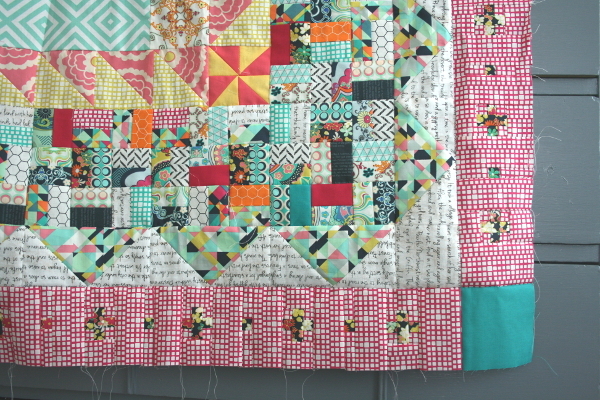 The whole quilt is amazing and all of the borders blend so well. Love the little plus signs. Look forward to seeing it with the next border on! 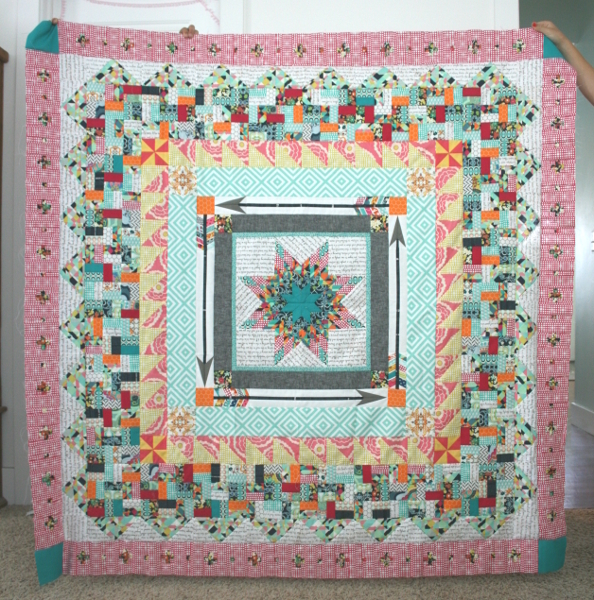 Stopping by from the WIP Wednesday links. What do I think? I think it’s amazing, and your talent is incredible! 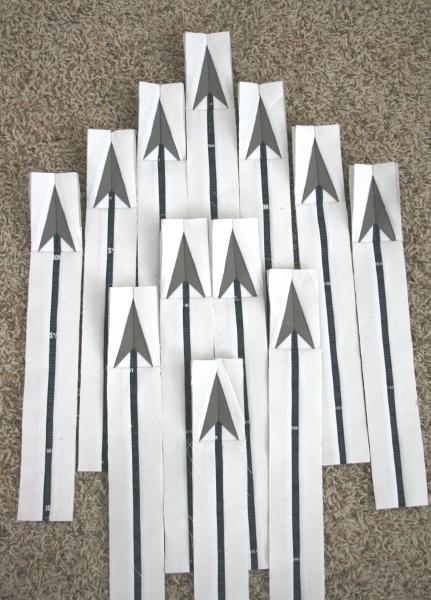 The arrows do look great grouped together, and I’m sure they’ll look equally good as another border.